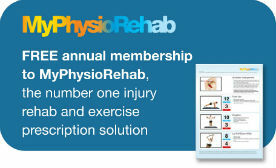 Malpractice Insurance for all members of the Australian Physiotherapy Community - Love your insurer. Awesome New Graduate Rates - First Year Graduate policies from $110! Be Free with PhysioSure - insurance without membership restrictions attached. All our policies contain $10Million Public Liability Cover: CGU are aware that DVA providers need at least $5M Professional Indemnity and $10M Public Liability cover. To make things easier for all, ALL PhysioSure policies now automatically have $10M Public Liability cover. All policies include cervical manipulation as standard cover. You simply nominate how much Professional Indemnity cover you wish to purchase from the above table. 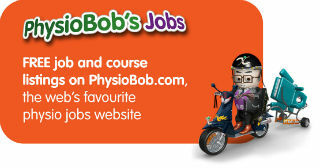 Part-time/Public Sector coverage covers physios for 15 hours or under private work and unlimited public sector work. South Australia Note: $5Mill policies and above provide cover of at least $5,000,000 for any one claim and $15,000,000 in aggregate, have no exclusions relating to scope of physiotherapy practiced by the Insured for which they are appropriately trained, qualified or registered to provide; and provides run-off cover for an unlimited period provided that the Insured ceases to be registered to practice physiotherapy in Australia during the Period of Insurance stated above and CGU Insurance Limited remains the insurer of the PhysioSure Combined Professional Indemnity and Public/Products Liability Insurance Facility.